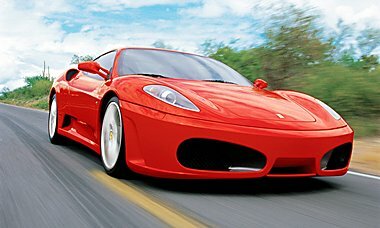 Prices for the Ferrari F430 have finally settled some. Of course with any Ferrari, the prices rise and fall according to season and market inventory. The F430 is no different and has steadily been declining as the Ferrari 458 begins to age some. So lets see where things are currently at, as of July 10, 2015. We will use the duPont Registry’s inventory and prices as a general guideline for this article. We will update this article periodically with inventory number and price changes. The first two model years of the F430, 2005 and 2006, there are currently 51 vehicles available. The F430 prices range from $98,995, for a Bianco coupe with aftermarket wheels, to $179,900 for a Novitec Rosso build. Most of the options here can be had between $105,000 and $139,000. The inventory rises for these two model years, as of the date of this article there are 74 of these model year F430’s available. During these years we also see the introduction of the Scuderia performance model. The Scuderias typically command a higher price, here from $189,000 to $298,000. The standard F430’s run from $114,998 for a Giallo Spider with 40,000 miles, to $189,985 for a fully optioned, 6 speed Giallo coupe. The final model year comes in and introduces us to the Scuderia Spider. The late model Scuds are holding their values really well. Ranging from a coupe from $299,000 to Scuderia Spider for $339,999. The last of the regular F430’s also seem to be doing pretty well in regards to their pricing. Our range starts with a Rosso Corsa coupe with under 10,000 miles that is priced at $159,900 up to a pristine Nero coupe for $179,900. If your budget extends to the high range of the F430 price spectrum, you should also begin to consider the Ferrari 458 Italia. The Ferrari 458’s prices have come down significantly now that the Spider has been out for a couple of years and the first models are nearing 6 years in age. Also, with the new 488 GTB and the Speciale available, it has further depressed standard 458 prices. For example, there are currently 53 458’s priced under $230,000 on duPont. Also to note, there are currently 256 Ferrari 458’s and 458 Spiders for sale on duPont. As the market becomes even further saturated with used Italia’s, I can only see more and more 2010 and 2011 Ferrari 458’s going under the $200,000 mark, which there are currently 5 already there, and this will subsequently begin pushing F430 prices down even further in our opinion. A side note is the recent introduction of the Ferrari 488 GTB, the replacement for the 458 has officially been announced. With it’s expected price to be in the neighborhood of $250,000 to $300,000 range, expect the 458 market to begin to get flooded with more cars and cheaper prices with more downward pressure on non Scuderia Ferrari F430’s.